Meatless sandwiches are often labeled as tasteless and boring. 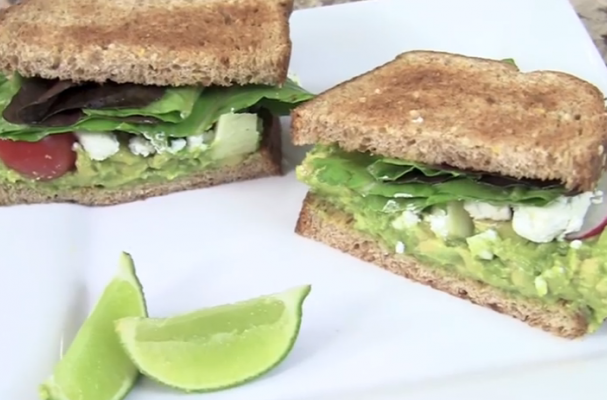 This avocado and goat cheese sandwich is anything but those things. Ripe avocado is paired with sweet apples, cherry tomatoes, crunchy radishes and tart goat cheese to create a balanced sandwich that excites every taste. I love to play with this recipe and experiment with different vegetable combinations. Since it is spring, I am loving marinated artichoke hearts and grilled asparagus tucked between the mashed avocado and goat cheese. What are your favorite vegetarian sandwiches? Do you have any tips and tricks that we should know about? Let us know in the comment section below.